Caffeine and panic attacks - a lethal mixture? Caffeine and panic Attacks – a lethal mixture? Caffeine and panic attacks is potentially a lethal mixture. Check your diet to see if you are drinking and as healthily as possible. In many cases, the anxiety may have been caused by a change in drinking habits. The symptoms of drinking too much caffeine can be similar to those of a panic attack, and all it may need is for you to reduce caffeine intake. Artificial sweetners, cakes, biscuits, soft drinks/soda, coffee/tea etc can cause havoc with your stability and should be investigated. 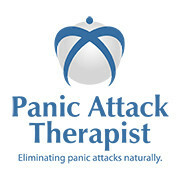 Panic attacks give you an adrenaline rush and caffeine and panic attacks are a similar reaction. Try keeping a diary for a week of everything you drink. After the week, investigate everything you enter in the diary and look at its contents/make up. Research it on the internet and eliminate it if it is not good for you. Try and drink healthy drinks whenever possible. Switch to herbal teas, especially camomile. If you are still not sure about your diet, contact a nutritionist for advice. 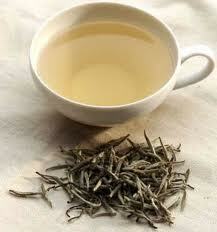 Have a look at the following video to receive more advice about suggested teas. Also, have a look at your alcohol intake and the numbers of cigarettes you are smoking each day. Caffeine and panic attacks are just one poor connection; check your daily lifestyle to see if there are more. Sep 5, 2009 – I stopped drinking tea, coffee and any soft drinks containing caffeine in September 2000 and it has had a dramatic effects on my Panic attacks.